Have a question for The Centris Inn? 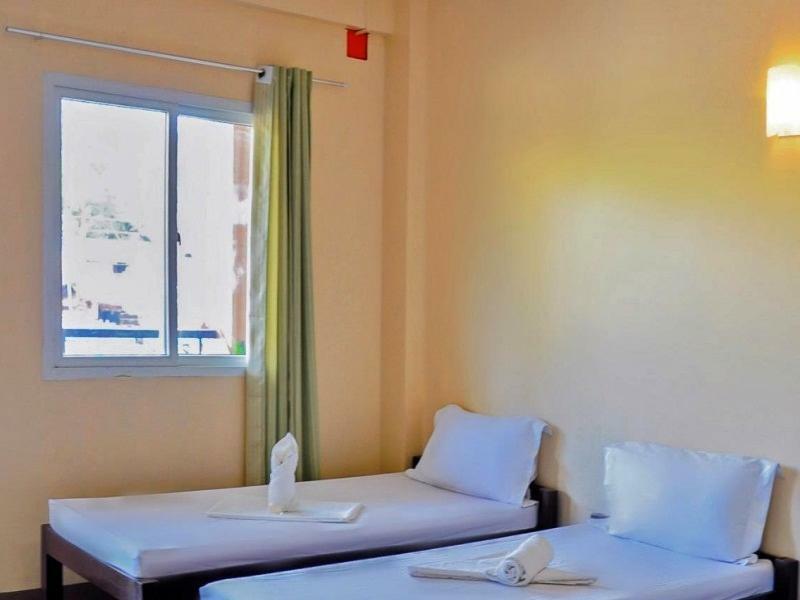 When visiting Palawan, you'll feel right at home at The Centris Inn, which offers quality accommodation and great service. From here, guests can enjoy easy access to all that the lively city has to offer. Also within easy reach are Puerto princesa city colesium, NCCC Mall, Puerto Princesa Airport. 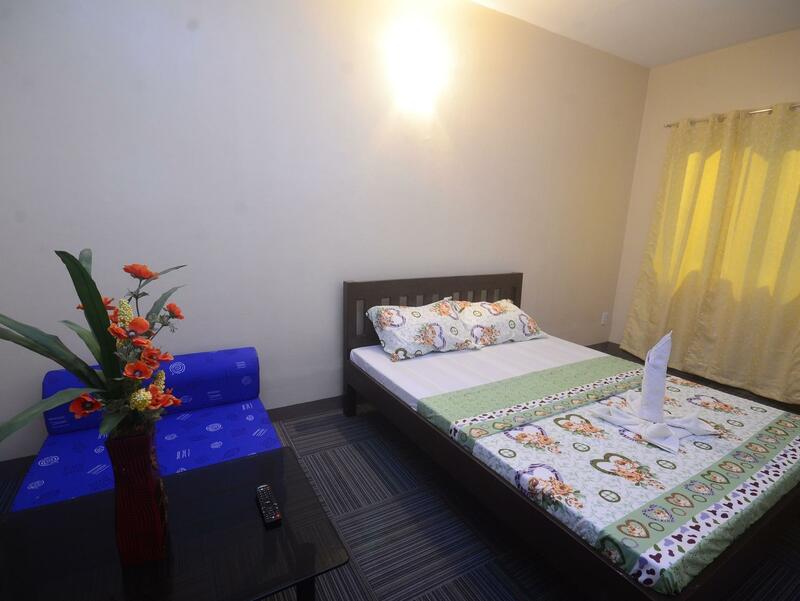 The facilities and services provided by The Centris Inn ensure a pleasant stay for guests. The hotel offers access to a vast array of services, including 24-hour front desk, Wi-Fi in public areas, car park, family room, tours. The ambiance of The Centris Inn is reflected in every guestroom. air conditioning, desk, fan, satellite/cable TV, shower are just some of the facilities that can be found throughout the property. Whether you're a fitness enthusiast or are just looking for a way to unwind after a hard day, you will be entertained by top-class recreational facilities such as massage. The Centris Inn is a smart choice for travelers to Palawan, offering a relaxed and hassle-free stay every time. I had a nice stay but was out of the room much of the time. This is not a resort it is a good well located economy hotel. Accessible, Affordable & Nice Staff. It was very good. I have a great stay at the hotel. Very accessible to Robinson's & other souvenir shop which is below the hotel. It was nice & comfortable albeit daily bouts of brownout & no water. Wifi is available at the patio outside our room. It is very convenient to commute. Ww love to stay at the restaurant downstairs called Isla Casoy. Delicious food, great service & the best cashew products there! This hotel was a bit run down but conveniently located near the car park, cafes and restaurants. The staff were friendly. There was free coffee and purified hot and cold water. The restaurants downstairs serve good food. I was able to soak up the local sights and sounds. I enjoyed good food and drinks. All my belongings were safe in my room. Near souvenir shops. Clean rooms. near church. The room was spacious for solo travellers. However, the partitions or the walls that separates my room from the other room isn't concrete (just plywood) so I can hear the activities of my neighbors. The hotel is pretty close to a bar with live band and I think its nice. But if you plan to sleep early, that would be annoying since you can hear the land band from your room. Very nice Inn at affordable price. Clean and big rooms. Very near to pasalubong shopping place. The room is very clean and quite big. The staff & owner are very accommodating to our needs. They also offer tour package at very affordable price without sacrificing the quality and fun(enjoyment) of the tour. The staff were friendly and attentive. The place is still quite new. The room and beddings were clean. Being a budget accommodation, there was no closet though to stuff your things in. The place is very near to cafes and bars thus you can hear the music coming from these establishments. Ich habe mich dort so wohl gefühlt, dass ich meinen Aufenthalt spontan verlängert habe auf insgesamt 10 Tage. Für den Preis waren die Zimmer super eingerichtet, modern, relativ neu, in gutem und gepflegtem Zustand, mit TV, Aircondition, Wifi, heißem Wasser, das Badezimmer war sehr sauber, wie insgesamt auch das ganze Haus. Der Service war sehr freundlich, kompetent, niemals schlecht gelaunt, die Hotelchefin wechselte mit jedem Hotelgast jeden Tag persönliche Worte. Kurz gesagt: Für mich ein einmaliges Verhältnis zwischen Preis und Leistung. Ideal auch die Lage des Hotels: Sehr zentral, nur wenige Meter bis zur Hauptstraße und damit den öffentlichen Verkehrsmitteln, dabei doch ruhig. Spätestens 23:30 Uhr war absolute Ruhe. Ich war begeistert. Sehr wahrscheinlich werde ich im nächsten Jahr dort wieder Urlaub machen. Ich kann es allen Leuten mit schmalem Budget nur empfehlen.